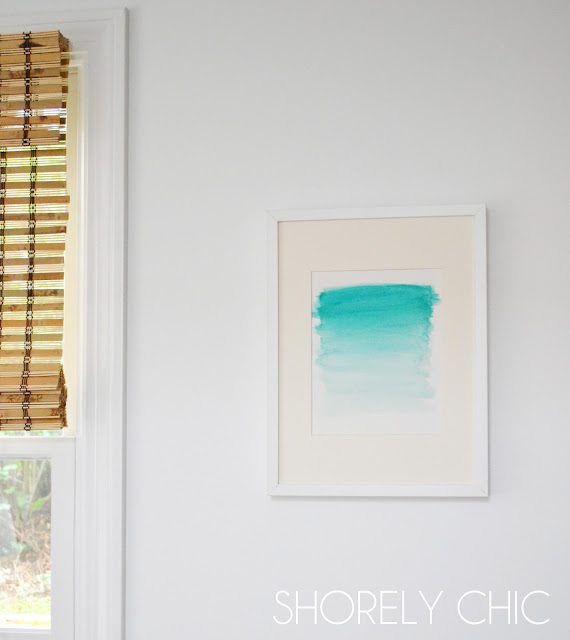 I'm super excited to share with you today an incredibly impressive but simple DIY for wall art. 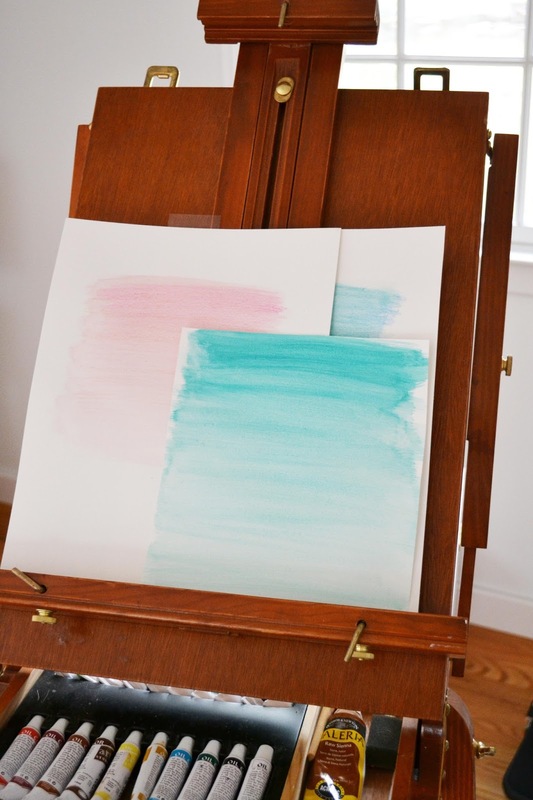 I discovered my love for watercolor in Sister Maryellen's 11th grade art class and have sadly not picked up a paint brush since, until yesterday. I'll never forget how those 45 minutes of art class took me away from my everyday high school happenings and lost me into the life of the canvas; it was such a nice release. With my new life as a stay at home mommy, I can finally afford a few extra minutes in my day and decided it was time to break out my painting supplies and try out a few strokes with the old brush. 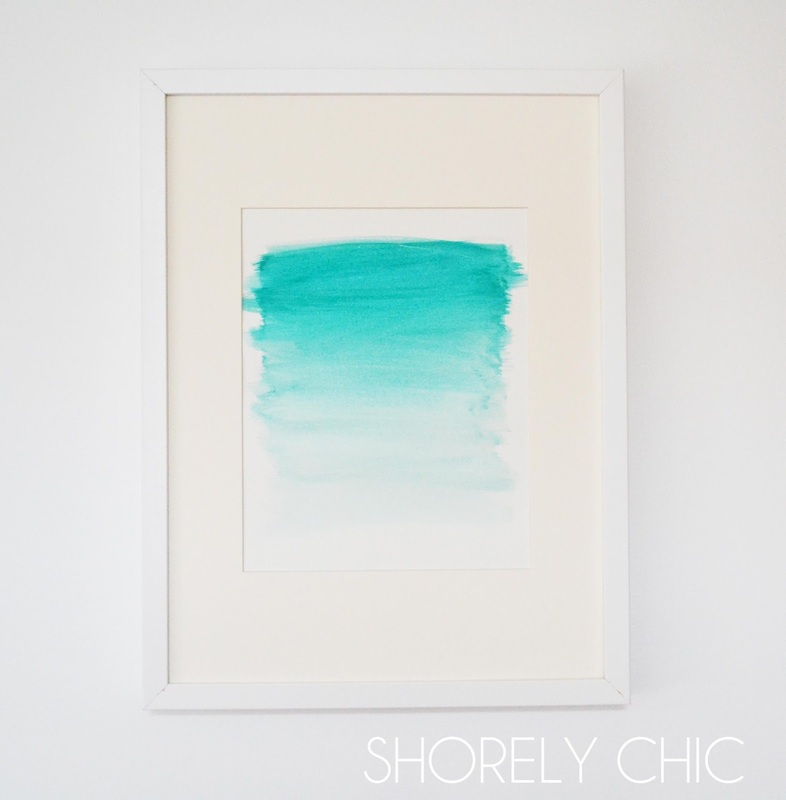 I made a bunch of these ombre watercolors which look so awesome hanging up in white frames. 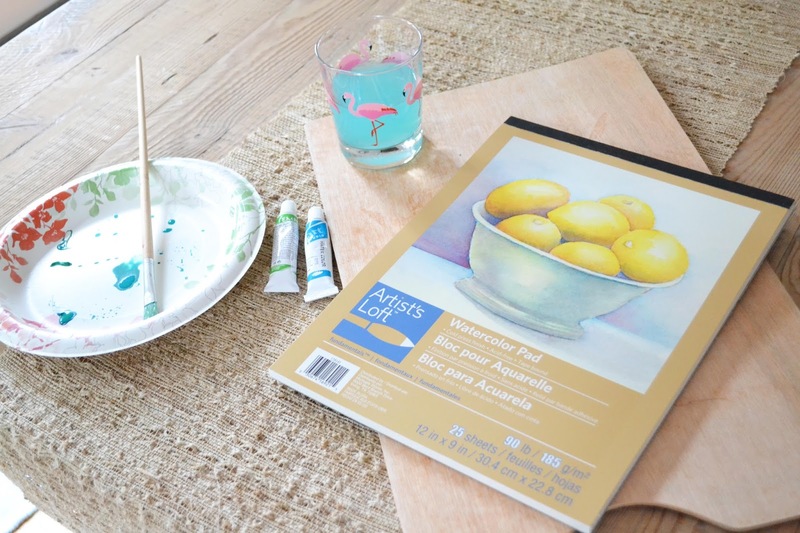 The simplicity of the work required for these paintings is no reflection on how stunning they really are, the depth of the colors pop and it's so much fun to try our different paints. paint! Play with your paints to mix the perfect shade of your choice of color and start with horizontal strokes on the top. 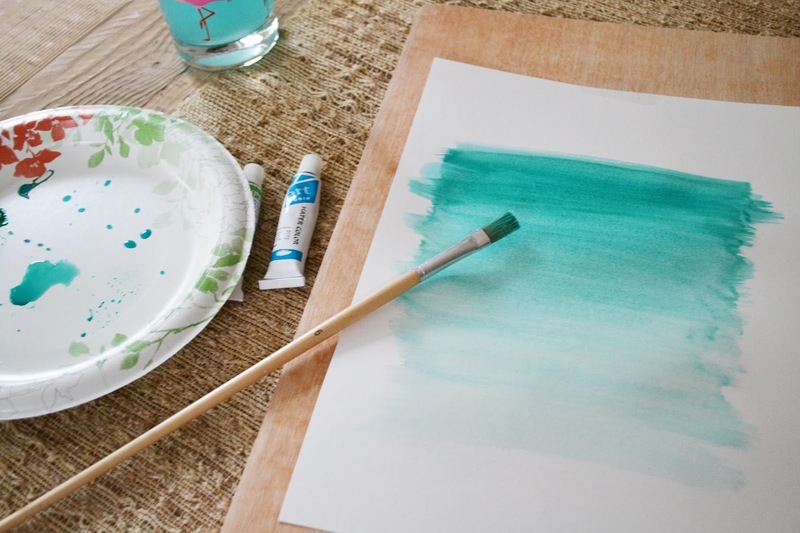 You'll want to mix less water into the strokes so the paint is more concentrated and thus darker. As you stroke your brush horizontally down your paper, you'll add more and more water to lighten the color and create the ombre effect. These are amazing! I'm going to try one, but it is obvious that you have the eye and the talent. i'm going to your shop next to see if you have any for sale. hmmm.. looking so beautiful nice trick.